Are you a restaurant owner, who has an idea to establish online presence for your business? If so, then you won’t go without starting a restaurant website. This is the surefire way to boost your brand recognition, build customer base and encourage users to order from you on a regular basis. Okay, you’ve come up with the idea to launch a restaurant website. What’s next? Your next step should be the choice of the most suitable web building tool – the one, which should comprise ease-of-use, convenience, quality, intuitive nature and affordability. Website builders is what you should initially think about, when deciding to launch an impressive restaurant website. These services are so simple and convenient that both newbies and professional web designers can use them, when working on their projects. So, what services exactly will come up to your web design tasks and objectives better than others? It’s high time to find that out now. Just like restaurants and cafes differ in their styles, cuisines and interiors, restaurant websites may vary in designs, structure and way of content presentation. However, they have one important similar feature – this is the niche they belong to. Consequently, these projects require special approach to the web building process to showcase the major advantages of restaurants and cafes in the most favorable light. What matters most for any designer, website builders put a user in charge of the web development process. This gives you creative freedom and awareness of the steps you make, when designing a website. As a result, you will be able to update your restaurant website each time when there is such a necessity without contacting web developers. This will eventually save your time, effort and budget. If you are currently interested in the best restaurant website builders, we’ve selected the most remarkable services that are the harmonious blend of the must-have features and, thus, are really worth the attention. Restaurant Template Collection. Whether you are going to launch a website for your local cafe, bistro, steak house, food truck or restaurant, amazing mobile-ready Wix templates will give it the right flavor. Wix Restaurants Application. This is the highlight of the service, which makes it possible for your customers to order the delivery of dishes and place online orders, paying for them on the web. Impressive Online Menu. Your website visitors will be enticed with your website menu – just add and manage your dishes, describe specials and prices, select the layout, upload appealing photos and publish the menu to further share it with customers in social networks or other external services. Easy Order Management System. The platform allows taking orders directly from the website, adding menus, offering delivery and pick up services, specifying delivery areas and communicating with the clients in the live mode at no cost at all. Wix Reservations. The app allows customers to make table reservations directly at the website any time of the day. Personalized ShoutOut Emails. The feature makes it possible to notify your guests about new dishes, menu updates, special offers and other events taking place in your restaurant. Guest Testimonials. Your guests will be able to leave their reviews and testimonials in the special website section to share their comments, ideas and emotions they’ve got when visiting the place. Decent Collection of Restaurant Themes. uKit has an impressive collection of Cafe and Restaurant templates, which are responsive, 100% customizable and visually-appealing (you can switch the designs while working on your website development). Online Selling Options. With uKit, you can start selling your dishes online, making up the menu, receiving orders directly at the website, specifying delivery methods and providing convenient payment options. Effective Website Promotion. uKit offers an extensive collection of client attraction and website promotion tools, including online chats, newsletters, callbacks, statistics collection, social media sharing and more. Integrable Widgets. The platform allows connecting any of its integrated widgets in a few clicks only – the choice is really amazing (Facebook widget, Instagram, Twitter, Jivosite, SlideShare, MailChimp, Live Chat etc.). uKit is one of the cheapest services available out there, which is another undeniable highlight of the website builder. The cheapest plan costs $4 per month, while the price of the most expensive plan constitutes $12 per month. You can buy a subscription for 3, 6 months or for 1-2 years at a time, which will cut down the cost of using the service. It is also possible to order a ready-made website from the system developers at $48 only. Free Restaurant Templates. 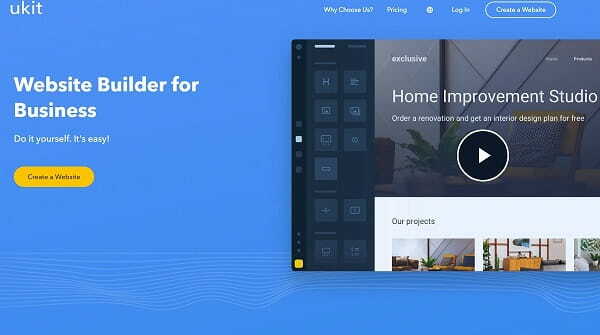 IM Creator offers a collection of responsive templates, which are built on the basis of the Stripes and Polydom technology and can be fully customized to provide decent result. Menu Builder. The service allows creating mouth-watering menus you can further update with regard to your restaurant style and specialization. Product Galleries and Slideshows. The platform makes it possible to create slideshows and galleries to present your menu dishes in the most favorable light to attract user attention. Online Reservations. With IM Creator, your customers will be able to place orders directly at the website and contact you by using an online contact form. IM Creator is a free website builder, which allows creating fully-responsive restaurant websites by applying top notch web design tools. The service comes with multiple features, customization tools, user-friendly interface, SEO parameters and other features that are a must-have for any website. This ensures easy, safe and engaging web building experience. Abundance of Restaurant Templates. Hundreds of customizable high quality restaurant templates (free and paid) are available online, being developed by proficient web designers and third-party users. Online Menu Plugins. It is possible to create and add a sleek restaurant menu to your website to effectively present the dishes to current and potential customers (UberMenu, Max Mega Menu, Superfly, Responsive Menu, Hero Menu, Floating Menu Pro etc.). Table Reservation Plugins. This is one of the must-have features of any restaurant website and WordPress allows adding it as well to let your customers book tables on the go wherever they are (WooCommerce Product Table, Restaurant Reservations, ReDi Restaurant Reservation, ResRes, Open Table Widget, Restaurant Manager, Booking System PRO etc.). It’s quite difficult to call WordPress easy-to-use as you won’t go without programming skills, when designing a quality website. However, the feature set of the system as well as its functionality ensure decent result restaurant owners intend to get. To install quality and safe plugins and themes, you’ll need to find and purchase them on the web. Menu Builder. Let’s Eat offers a functional Menu Builder, which helps you design a decent and detailed cafe or restaurant menu to provide customers with complete information about your dishes. Restaurant Designs. 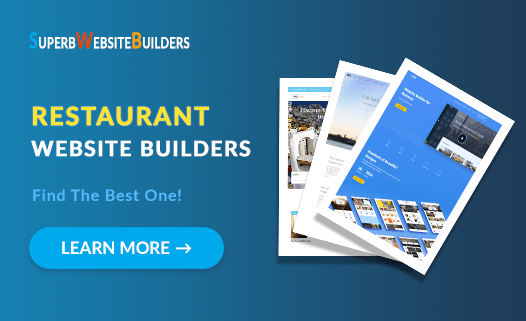 The website builder offers dozens of restaurant designs, which come up to various web building needs, but are not altogether responsive, however. Coupon Generator. The option allows generating discount coupons to provide your existing and potential customers with special offers and bonuses. Let’sEat Marketplace. This is where you can find a collection of third-party apps to boost the performance of your restaurant website (Online Ordering, Reservations, Job Management, Email Marketing, Social Media and more). Calendar. The feature allows publishing your restaurant news, events, menu updates and other info your customers may be interested in. Integrated Apps. Apart from the widgets available in the Marketplace, the website builder has its own collection of integrated industry-specific apps, the prevailing amount of which are developed by the system industry partners (SeatMe, Guestful, EatStreet to mention a few). Mobile Design. The platform doesn’t offer responsive templates, but it provides a mobile design feature to create a separate mobile version of your website. The website builder doesn’t have a free plan. If you decide to use the system, get ready to upgrade to the paid subscription. This is the Pro package, the price of which constitutes $10 per month or $99 per year. The plan has a 14-days trial period, which enables you to test all the features of the system at no cost at all. See also: Let’s Eat review. A restaurant website is a not a whim, but a must-have for any cafe or restaurant owner willing to boost business performance and grow customer base. It’s quite understandable that most entrepreneurs often don’t have a single idea of how to create a website and make it popular. By using website builders, you pursue several important objectives at a time – building a website, engaging user attention, growing customer base, promoting your business and generating profit. Wix is the best restaurant website builder, which deserves the attention due to its excellent feature set, niche-focused customization tools, collection of restaurant and cafe templates and other options that contribute to the development of a decent website. uKit is a small business website builder, which covers the prevailing amount of users’ needs, offering rich feature set, restaurant templates, customization tools and stunning ease-of-use. 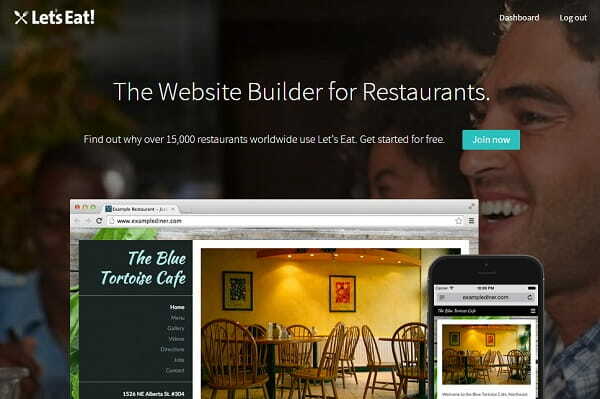 IM Creator is a free cloud website builder, which unveils multiple options for restaurant website owners and provides a broad range of niche-related tools to ensure exceptional web building experience. 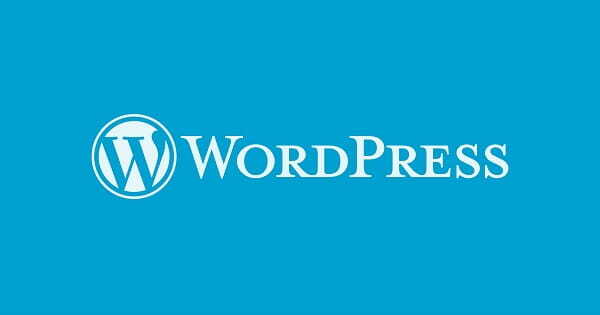 WordPress is a free CMS, which does not lag behind website builders in terms of website creation and offers more than enough features to design a decent restaurant website. Let’s Eat is a well-structured and neat specialized website builder, which caters to the needs of restaurant owners, who have an intention to launch and manage a website on their own. Website builders reviewed in the article are the best in the niche and guarantee top notch result. If you are right about to start a restaurant website, then don’t underestimate the importance of testing each of these services to find out their major features and characteristics. This is the best way to make sure you will make the right choice.